Watch this video to learn more about WHAT Piano Wizard is and what it does. Piano Wizard is one of the fastest and funnest ways I have found to learn how to play the piano. It seems as if you're playing a video game, but in actuality, you are learning to read music and play the piano! It is AMAZING! Think of all the money you will be saving on piano lessons over the years! Think of the heartache and stress that will be avoided trying to get your children to practice!... (not to mention savings on therapy)! Think of the fact that while your child is learning, you can learn along with them just as easily! Think of the joy you will get from telling your child(ren) that they SHOULD be playing video games instead of telling them to stop! 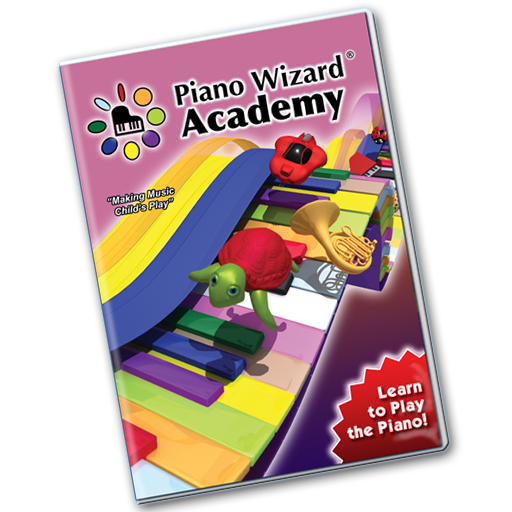 There is a LOT of information to be had about this extraordinary product, so if you want more information, go to the website at www.PianoWizardAcademy.com. you will receive a $100 discount on your purchase! Get your Piano Wizard now! Chris Salter, a good friend of mine, is the inventor of this incredible product. I knew when I first saw it, that it would revolutionize the way people would learn to read music. I have seen children learn things in a fraction of the time that it took me...and I was an exceptional learner. So, "yes," I am jealous! Who does it work for...and Why does it work? Download this FREE report about how to improve your child's SAT Scores, Social Skills, and Self Confidence!